Trigger-to-Image Reliability (T2IR) is a combination of hardware and software features built in to area and line scan cameras, frame grabbers and software from Teledyne DALSA. This combination works together at a system level to help improve the reliability of an inspection system. T2IR is a unique approach from Teledyne DALSA which provides tools to control, monitor, audit, and debug the flow of data in machine vision systems, effectively revealing what is happening inside the component parts. This prevents many errors before they happen and makes the system more reliable, which in turn delivers more uptime, more productivity, and lower costs. managing external triggers; tracking and tracing images and continuous coverage of the entire image flow to deliver confidence. By monitoring the acquisition and transfer process, preventive action can be taken if resource usage exceeds a predetermined threshold, selectively keeping or discarding images to sustain processing speed. Peak data loads can be handled to avoid data loss and data quality can be guaranteed to help increase uptime and reduce waste. Advanced diagnostics allow rapid pinpointing of errors for speedy diagnostic and preventive actions. T2IR stores images temporarily in onboard memory to overcome unexpected transfer bottlenecks and avoid data loss. That means no lost data, no false data and a clear source to identify and track any errors. 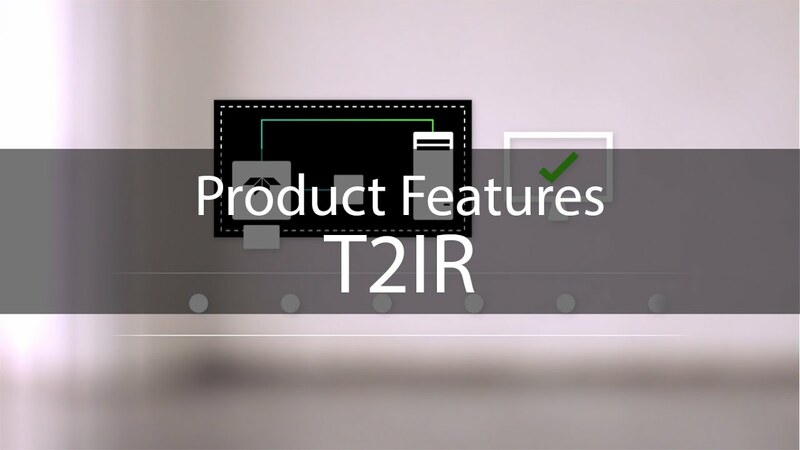 T2IR ensures robust and reliable operations to produce repeatable results, and it does so in a non-intrusive manner that does not interfere with other system applications. Device status can be displayed via colour coded flashing LEDs on hardware products. These are indispensable tools when diagnosing issues at a distance from a host PC or before the PC is booted. T2IR also includes standalone GUI tools which are part of Teledyne DALSA’s Sapera LT SDK. These tools can be run concurrently with user applications without interfering with the normal operations. The T2IR functions included in the GUI tools are also available via an API as part of the Sapera LT SDK. Users can directly incorporate these functions into their applications for seamless indication of device status. A new 16 page T2IR technology primer explains in detail how this technology works and how to maximize its effectiveness. What did go wrong during your image acquisition process and why, so how can you avoid it from going wrong again? Trigger to Image Reliability (T2IR) enhances the reliability of your system. The feature is included in all frame grabbers from Teledyne DALSA and in lots of cameras. Learn what Trigger to Image Reliability is and how it works to make your machine vision system more secure.